If you would have told me 10 years ago that gun companies would be putting out advertisement videos where dudes were pushing their kids on a swing, moms taking the squad to soccer practice etc. I would have LOL’d so hard. 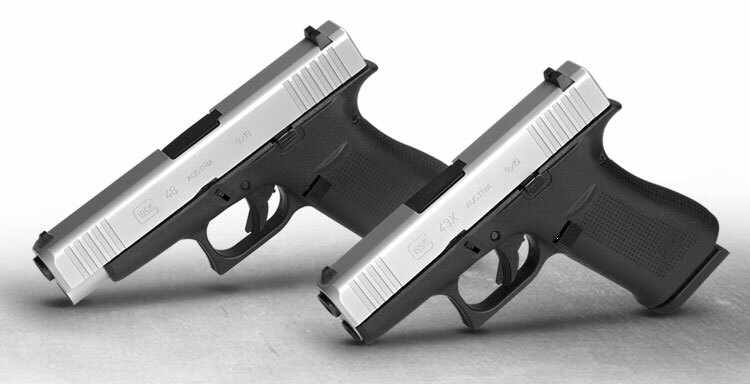 You can read more info on the G48 and G43X if you’re interested. Available January 21st. Is the silver slide something people want? The custom Glock guys are going to be steaming mad they aren’t unique anymore, considering were already beat down once when Glock introduced the front slide serrations. Oh what a time to be alive. I really hope there’s some actual innovation for SHOT Show 2019 🤞.